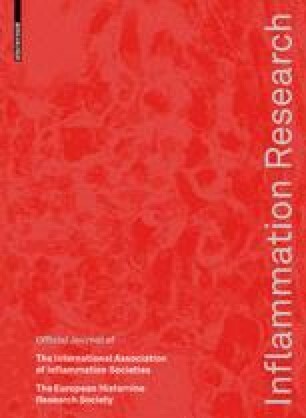 We evaluated the role of the osmolarity in the pro-inflammatory responses of epithelial cells. Twenty-five female Wistar rats and colorectal (HT-29) and bladder (T24) cell lines were used. Rats and cells were exposed for 48 hours to hyperosmotic solutions. Interleukin-8 (IL-8) production was measured by Enzyme Linked ImmunoSorbent Assay, mRNA transcription of pro-inflammatory cytokines by microarrays or RNase Protection Assay. Nuclear factor-kappa B (NF-κB) pathway and Protein Phosphatase 2A (PP2A) activations were measured. Myeloperoxydase (MPO) activation and Macrophage-Inflammatory Protein-2 (MIP-2) transcription were monitored. The exposure to hyperosmotic solutions enhanced the production of IL-8 and induced pro-inflammatory cytokines transcription. In vivo, MPO enhanced activity accompanied by an increased MIP-2 transcription was observed. In vitro, NF-κB activation is accompanied by an inhibitor of kappa B-alpha degradation and inhibitor of kappa B kinase (IKKγ) activation. We demonstrated the induction of IKKγ after methylation and activation of PP2A. Cytokine induction was inhibited by okadaic acid and calyculin A and stimulated by xylitol. Hyperosmolarity can induce pro-inflammatory cytokine responses in colorectal and bladder epithelial cells. Inflammation appears to be the simple consequence of a shift of methylation of PP2A which in turn activates NF-κB.